Let’s be real…when you are teaching language arts (especially with the littles) you have what seems like at least a million posters, word cards, worksheets, centers etc. 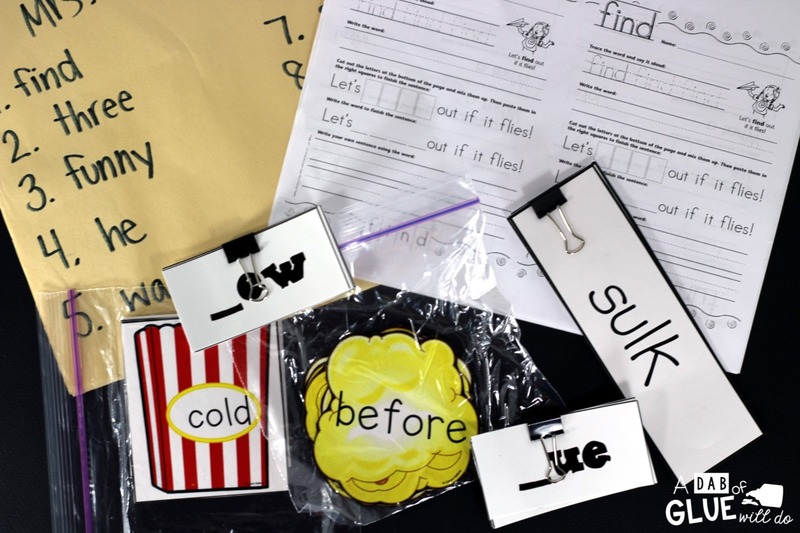 All of these things can quickly take over your classroom and make an absolute disaster of a mess. All this will do is drive you mad and make finding things for the following school year a next to impossible chore. 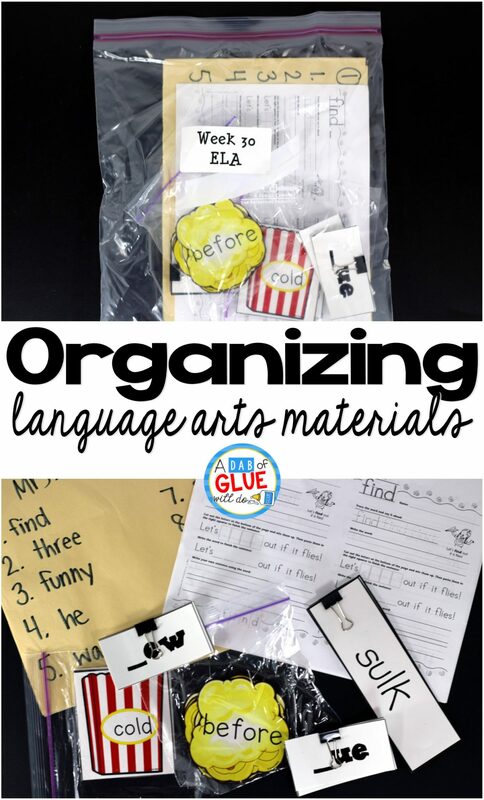 Because of this, I wanted to come up with a way to organize language arts materials. 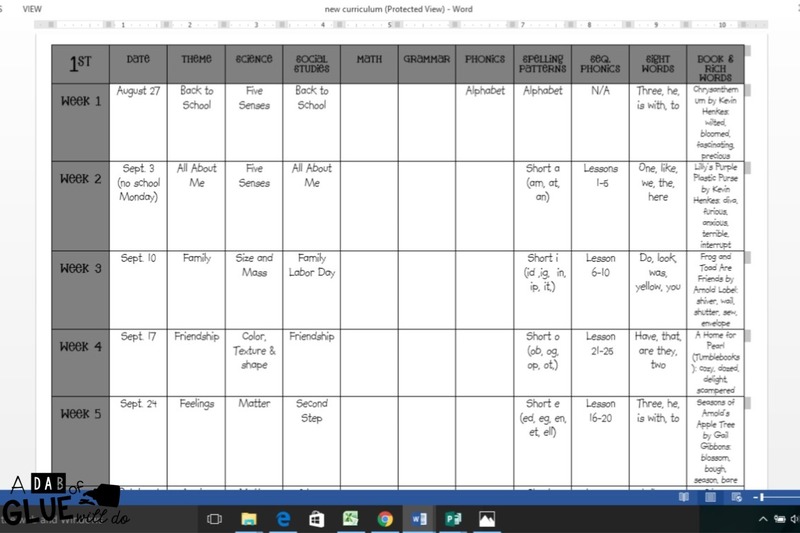 This was definitely a process and evolved each year I taught, but by the end of my second year I had an organization game plan that helped keep me sane and prepared for the current school year and school years to follow. It is nothing fancy by any means, but it worked wonders and I cannot recommend it enough. I kept almost all of my language arts materials for each week of instruction in a labeled, large ziploc bag. I labeled the bag with the week number the material was being taught by using labels, but you can easily use a Sharpie. 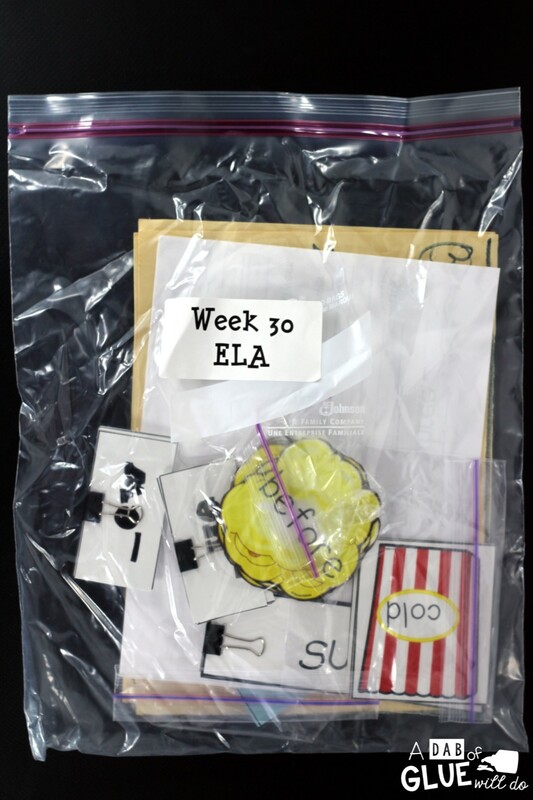 Here is a picture of my week 30 ELA bag. The contents of the bag are based simply on my schedule and what we did every single day. Yours will look different than mine, but at least you can get an idea of how I organized it. 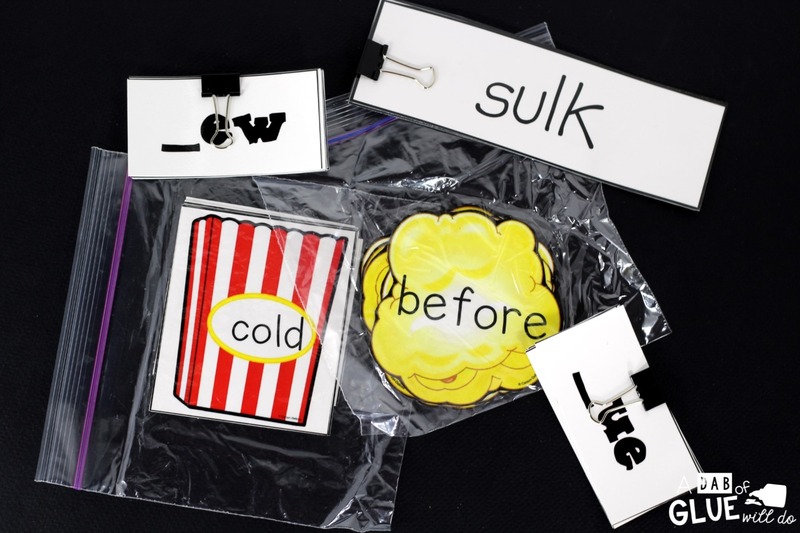 I used binder clips and plastic baggies to keep the sight word and word family cards organized and together. For the school year I kept track of which sight words, word families, etc. were being taught on a word document and which week they were taught. This allowed me to know exactly what was in each bag at all times and which week it was taught, making it incredibly easy if I ever needed to find anything for the current school year or if anything changed the following year . Here is an example of what my planner looked like. Every Friday after school, I would grab the bag for the next week and get everything laid out and/or hung up. I would also get the materials from the previous week and place back in their bag. It took me minutes to prepare, which was so nice since I was typically exhausted from a busy week, but also wanted to be prepared for the week to come. It does take some work to organize your language arts materials this way, but once you are done, it is great and completely worth the up front effort. I hope that you found this helpful and will be able to use some of the ideas for your own classroom. Great tip ! Thanks !